Bhubaneswar: Single Window for Investor Facilitation and Tracking (GO-SWIFT) of Odisha government has received a very encouraging response from investors across the country. It has received 300 proposals from investors across the country since its launch in November 2017, said a statement. Go-SWIFT received the 300th proposal from a group company of Kerala-based Kitex Garments Limited, which has committed to invest Rs 177 crore at Gopalpur in Ganjam district to set up a unit to manufacture apparel. The project will create employment opportunities for over 5000 people, with a majority of them being women. The project proposals submitted on GO-SWIFT to set up manufacturing units envisage a cumulative investment commitment of Rs 18,208 crore with an employment potential of over 29,000, said the statement. The investment proposals belong to a variety of sectors ranging from food processing, seafood, aluminium downstream, apparel, cement, tourism etc. When compared to the 8-month period prior to the launch of GO-SWIFT, the number of investment proposals received post launch has gone up by 20%. “We are committed to ensuring investor delight and it is highly encouraging to note that within a short span of 8 months, GO-SWIFT has received over 300 proposals from investors across the country. Due to the significant ease of application and expeditious approval process, there has been a considerable increase in the number of investors wanting to set up their business in the state,” said industries secretary Sanjeev Chopra. He said the government will continue to raise the bar for ease of doing business and is focused on speedy implementation of investment proposals on the ground. Some of the leading companies whose proposals were received and approved by State Level Single Window Clearance Authority in the last 8 months include Manpasand Beverages, ITC Foods, Apar Industries Limited, Sri Malani Foams (a company from the house of Century brand of mattresses), Vedanta, Lalchand Resorts, JSW Cement, Gokul Agro and Jindal Aluminum among others. GO-SWIFT has seamlessly integrated all existing technological applications of the Department of Industries via the Single-Sign on Framework and covers all aspects of B2G interface during the investment lifecycle. As a result, an industrial unit can get customized information regarding incentives and requisite approvals about the proposed investment, select land, apply for single window clearance, obtain land and other utilities, get statutory clearances, take advantage of risk-based synchronized inspections by regulatory agencies, obtain post-land allotment services, resolve issues with government departments and also dovetail its CSR activities with the developmental goals of the state. This is first-of-its-kind development by any State in the country. Over 3,890 industries have registered themselves on GO-SWIFT so far to avail various kinds of services. The timelines mandated by Orissa Right to Public Services Act (ORTPSA 2012) have been mapped for each service to ensure that all approvals are delivered in a time-bound manner to the investors. The average time for application of services has come down significantly due to GO-SWIFT. For instance, in the case of Directorate of Factories & Boilers, so far more than 640 applications have been approved with the average time taken for approval at 25 days. This is lower than the timelines mandated by ORTPSA which is 30 days. Similarly, in the case of Directorate of Labour, more than 220 applications have been approved so far with the average time taken for approval at 22 days which is significantly lower than the 30 days mandated by ORTPSA. 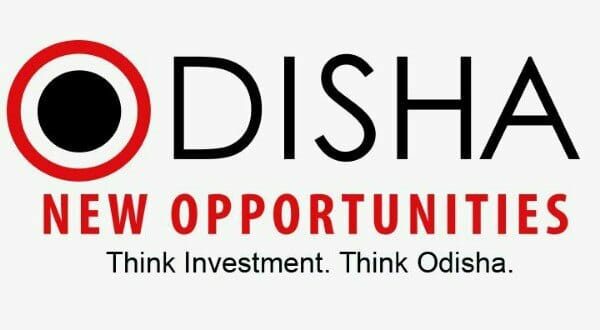 Over the last 3 years, the State Government has embarked upon the implementation of a Business Reforms Program to make it easier for companies to set up and operate in the state following which Odisha has been recognized as an “Achiever” in terms of implementation of business reforms with 92.09% score in the Business Reforms Action Plan rankings of 2017.